Now, whenever you're presented with a bonus lamb, you've got a better way to make sure that your bonus lamb represents bonus profits, thanks to lamb milk replacer from Land O'Lakes. 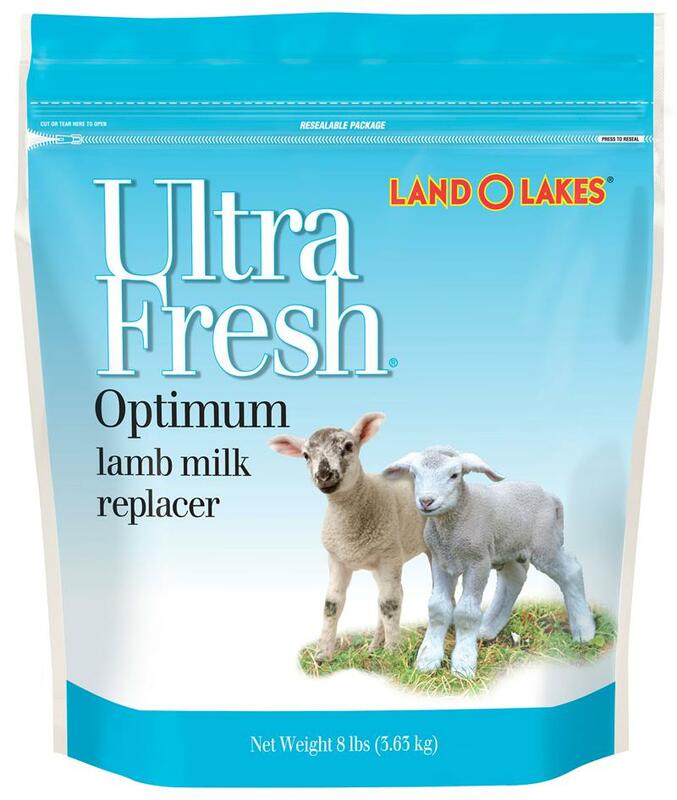 As the pioneer in milk replacer research and development, Land O'Lakes is proud to offer Ultra Fresh® Optimum lamb milk replacer to the sheep industry and eager to continue our role as a leader in helping sheep producers realize the greatest profits possible. UltraFresh is designed to help you save your bonus lambs by offering an excellent alternative to the vital nutrients found in ewe's milk. Larger package size maybe available through your Co-op or Dealer.